Today was the final presentation of our first project concept. 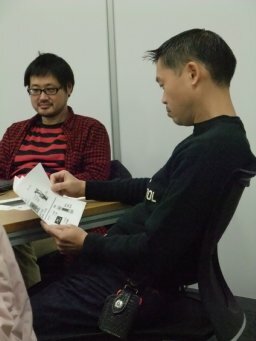 We had to do a presentation for Inafune-sensei himself. 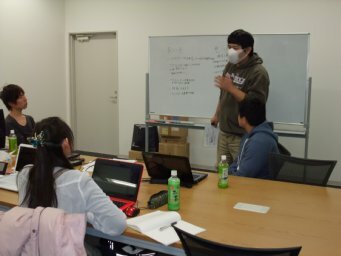 The lesson started with a tension in the air. The conversation heated up. We tried to talk about all the little points, but our little conference didn’t go very productively. 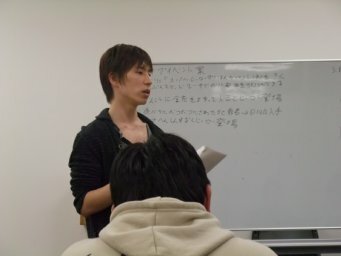 Ono-sensei noticed our frustrations, and told us to refresh our head with a short break. 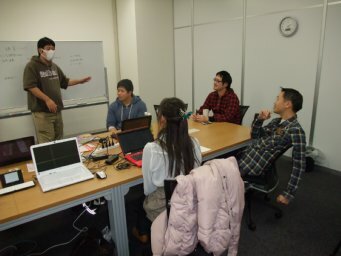 Thanks to Ono-sensei, the tension went away in the afternoon session. 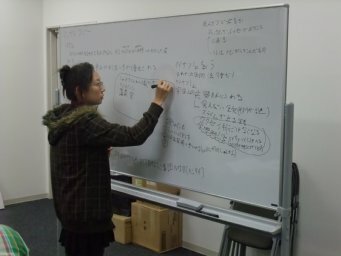 Everything went really well, and we were able to finish up our concept sheet before Inafune-sensei’s arrival. 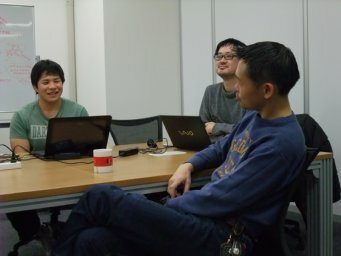 After Higasimura-san finished the presentation, Inafune-sensei said “great work finishing this concept within this month”. I felt relieved and warm in my heart after hearing those words. 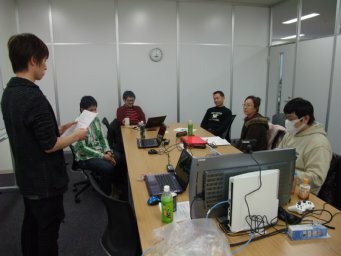 I am very grateful to be working with Higashimura-san, Kasubuchi-san, and Fukuda-san. I have learned so much from everyone. Thank you very much! We have finished our first project concept. I feel a bit sad to think that we are not going back to talk about that world again. On the other hand, our new project concept has started! 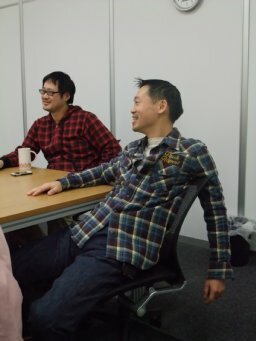 We will be taught by Inafune-sensei again, and that excites me even more! Today was the final presentation of our little project. 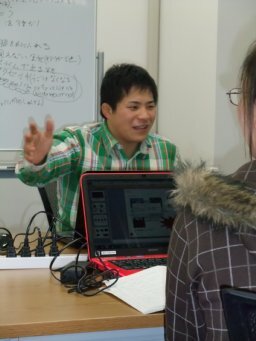 I was just sitting beside Higashimura-kun, but I was so nervous just watching him give the presentation. I feel I have learned so much since the beginning of this school. Everything was so hard, but the hardest thing to me was to share my thoughts with others. 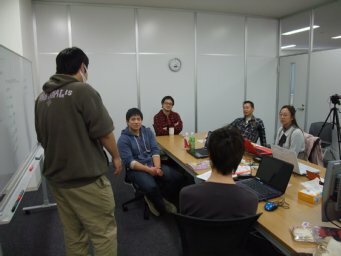 Our first project concept is completed, but a new project concept is already starting. I feel a bit sad to end our first project, but starting something new is also exciting. Boy, that went by fast. 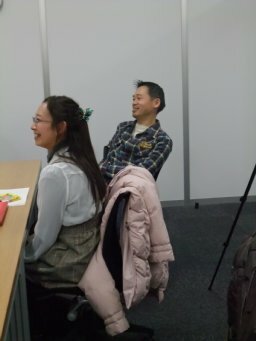 I was given the “okay” from Inafune-sensei on my presentation. I really felt I have grown since the first lesson. I am so happy from the bottom of my heart. Then again that “okay” was for me as a student. Not as a director. I will keep this simple but important fact in my mind.